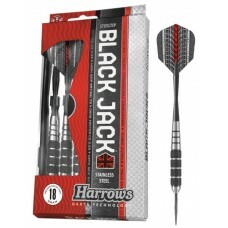 The Black Jack range is a sleek and menacing series for the advancing player. 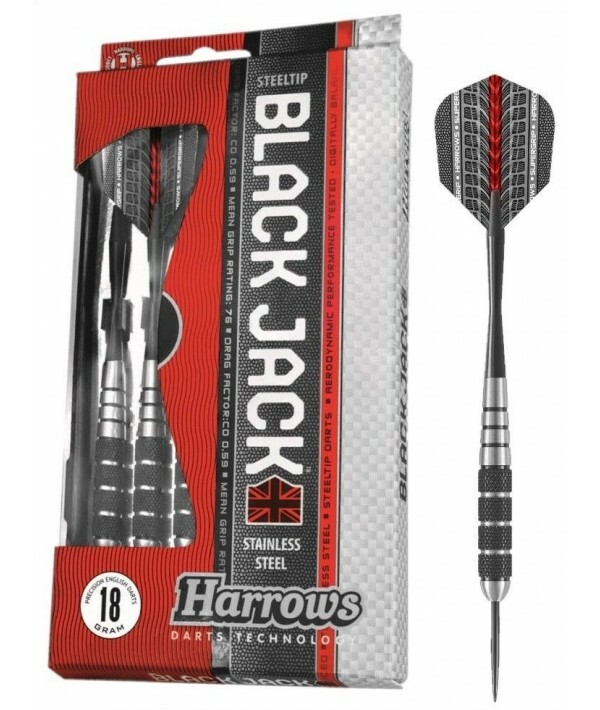 The “tungsten look” barrels feature precision black knurling, for maximum grip and optimum control. 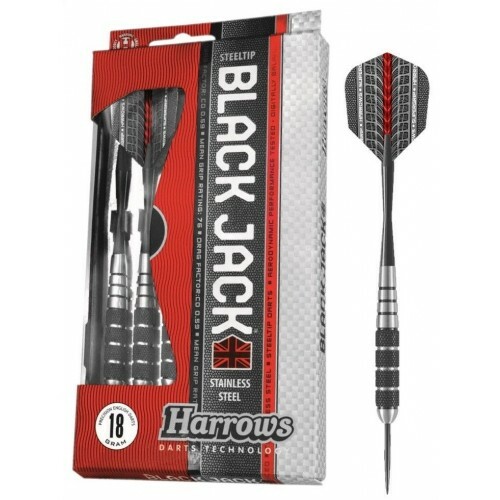 The barrels are teamed with the very latest advances in shaft and flight technology. Speedline shafts and Supergrip flights complete the winning formula.